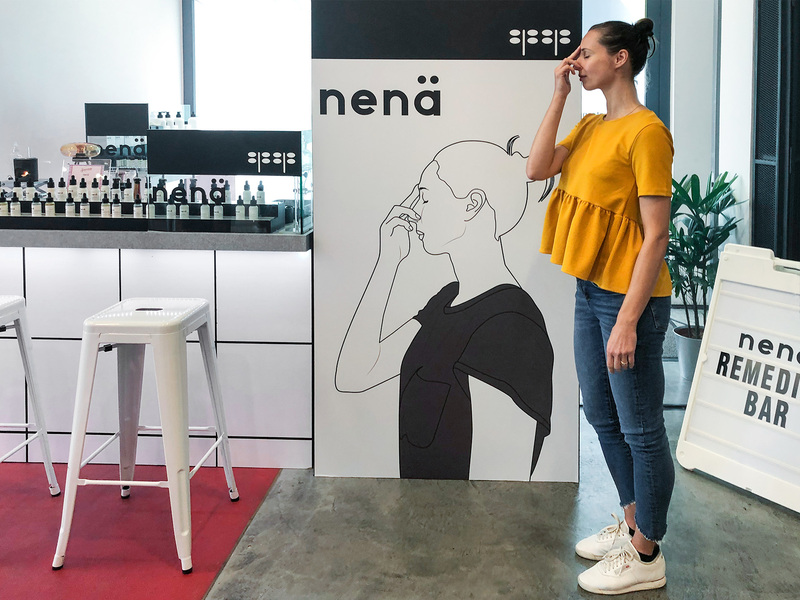 TUYA teamed up with Singaporean company AllSense at the launch of their new brand Nenä. It translates the magical world of essential oils into effective lifestyle remedies and daily wellness rituals. 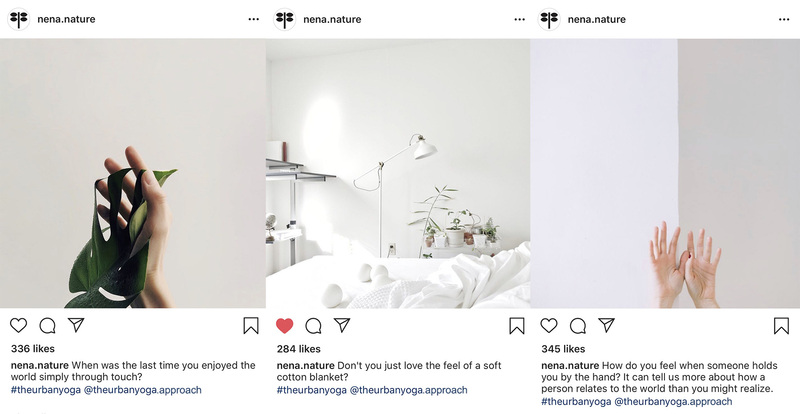 We contributed our expertise on yoga, psychology, urban environment and sensorial integration to advance content development for Nenä’s booklets, workshops and social media. TUYA co-produced four different booklets that help you discover key yoga poses and breathing techniques for relaxation, energy, focus and creativity. So simple you can practice them from the comfort of your own office desk & chair. 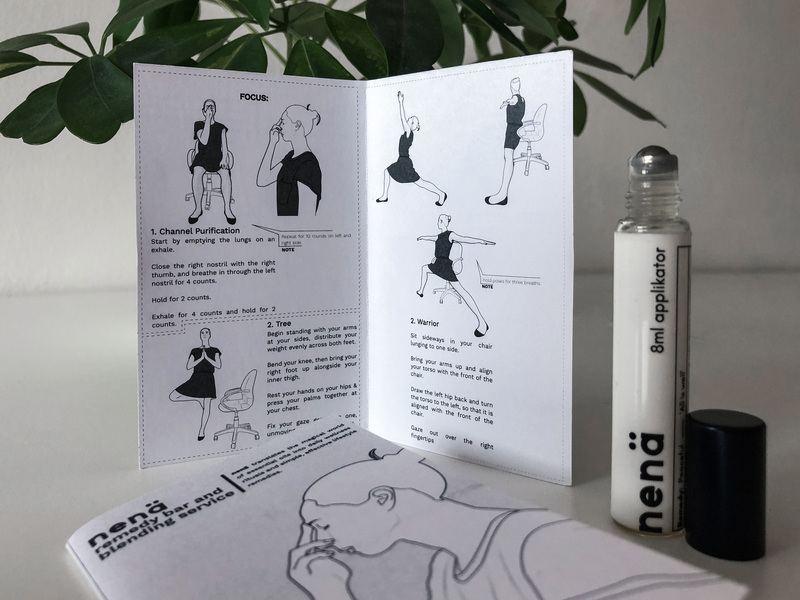 Anja also performed yoga poses and breathing techniques for photos that were turned into illustrations and used for Nenä promotional and other material. Booklets discovering key yoga poses and breathing techniques for relaxation, energy, focus and creativity. So simple you can practice from the comfort of your own office desk & chair. Discovering 100% pure and natural, hand-poured natural remedies. Each mindfully curated according to purpose. Anja Humljan at Nenä Remedy Bar. TUYA’s significant sensorial mediations alongside to yoga and breathing techniques outlined four types of Nenä workshops focusing on relaxation, energy, focus or creativity, each having a flexible duration ranging from ten to ninety minutes. Workshops focusing on relaxation, energy, focus or creativity designed to fit group or individual sessions in work environment. We curated a series of full content social media posts that mindfully activate sensuous bodies of contemporary commuters. 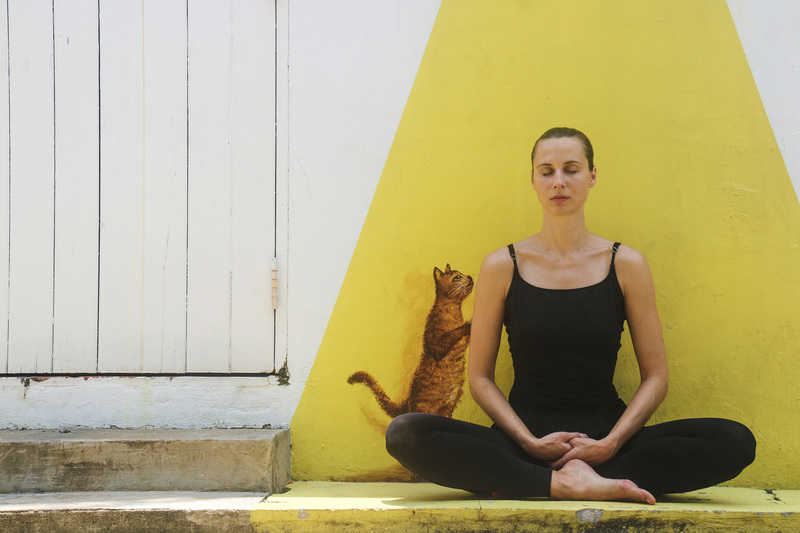 Furthermore, Anja contributed her yoga skills, posing on the streets of Singapore to create photo material for Nenä’s social media presence. 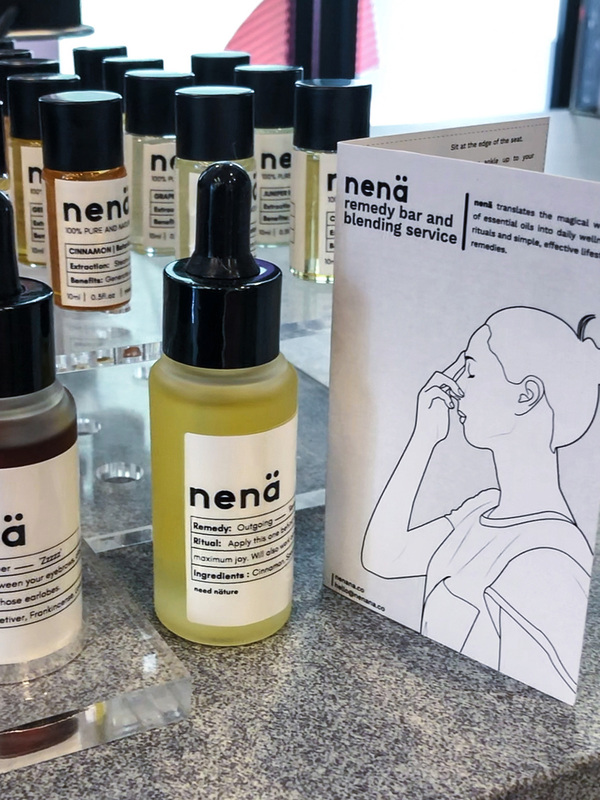 Nenä’s mindful social media activation for our body and senses. 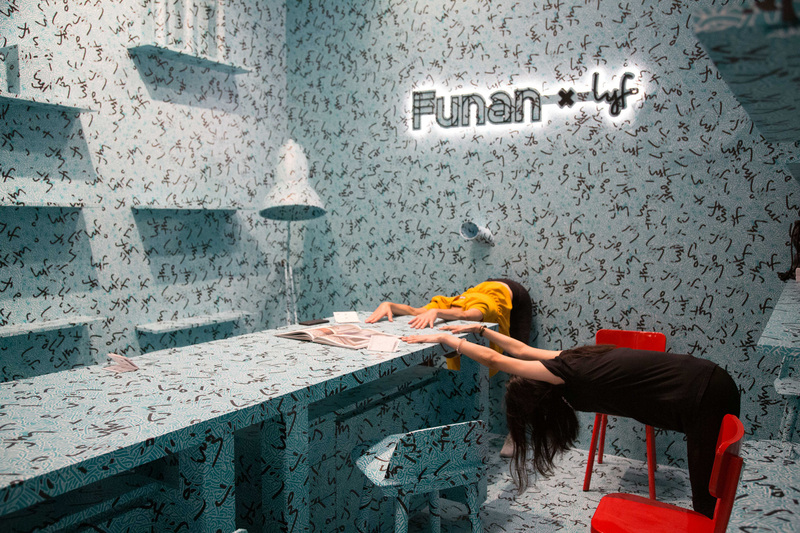 Would you like to collaborate with The Urban Yoga and enjoy our unique approach and Anja’s unique combination of performance and movement skills? Just get in touch with us – we would love to collaborate with you.